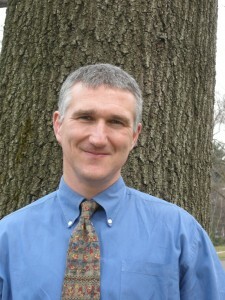 Scott Warnock is an associate professor of English and Director of the Writing Center and Writing Across the Curriculum. He teaches first-year writing and courses such as Writing in Cyberspace, The Literature of Business and The Peer Reader in Context. The Triangle: How did you end up at Drexel? Scott Warnock: It was a long and winding journey. After a few jobs after finishing my undergrad, I went for my both my master’s and doctorate degrees at Rutgers Camden and Temple respectively. My first job after Temple was at Penn State Berks—Lehigh Valley and after two years of working there I looked for something more local and in the area and found an open position at Drexel. TT: What are your responsibilities around campus? Any outside activities? SW: Meetings, a lot of meetings! I’m a tenured professor here and a lot of responsibilities fall under service but my job can be broken down to three things. I’m on lots of committees and faculties as an administrator and a lot of things fall under this role. Teachingwise, I teach three courses a year, a lot of courses about writing online. One of them is a hybrid class, one full online and in the winter, an on-campus class. Subjects include Literature in Business or Writing in Cyberspace. There’s a lot to do and I try to be a part of it. TT: What’s your favorite course that you’ve ever taught? SW: My favorite course I’ve ever taught is always the course I’m teaching currently. Literature in Business is a course I’ve designed, Writing in Cyberspace is also pretty fun. The Peer Reader in Context is an interesting course as well, one I haven’t designed. A lot of students have said that course has changed their lives and I know that I myself have had my life as a teacher changed by that course. I’ve rethought a lot of my teaching methods because of that class and I of course value teaching online classes as well. TT: What is the toughest question you’ve been asked in a class and how did you answer it? SW: A very tough question! My classes are very conversation-based so there are a ton of hard questions. Some are personal and light-hearted while on the other side, we touch on some really hard topics. Writing courses by their nature bring up some really hard things sometimes because students get to themselves at a certain point. We talk about disparities between races and socio-economic status. I can’t think of one singular question that stands out as exceedingly difficult compared to the others. TT: Who or what is your greatest inspiration? SW: I actually have an idea about a book called the “15 People Who Most Influenced You”. The book would help describe or think who you are and identify the 15 people who add up to who you are today. It could be people who inspired you or struck you with a bad memory or experience. I myself have had those certain people in my life and I’m telling you this because I don’t really have one person who inspired me. I can think of a few people off the top of my head who make this list, a high school coach I still keep in touch with, my advisor at Temple. I really have been inspired by an amalgamation of people who selflessly gave their time to me to help me be who I am today. TT: What are you most proud of? SW: I feel as though as I’ve gotten older that I continue to try and do good, especially as my role as a teacher and administrator. I coach my son’s wrestling team, I’m on a few school boards and a community group. I’m very proud of being a part of these groups, able to have the time to do things that aren’t just about me, but making things better overall. TT: When you were a kid, what was your best Halloween costume? SW: I’ve actually had better ones as an adult! We have a huge Halloween party each year. As a kid however, one year my brother and a friend of ours made Star Wars costumes. They were Storm Troopers and I was Darth Vader. Another year we (as adults) were the Three Stooges. TT: Can you speak more than one language? SW: Not especially. As part of a graduate program requirement, we were supposed to learn two foreign languages and I mastered a passable form of French and Spanish. TT: What’s something most people don’t know about you? SW: There are a lot! I’ve actually performed in a ballet once. I was 21 or 22 when I was a part of it, only as a lifter of the other dancers though.